Live Your Poem...: ARTSPEAK! Harlem Renaissance poem "For Love of the Game"
ARTSPEAK! 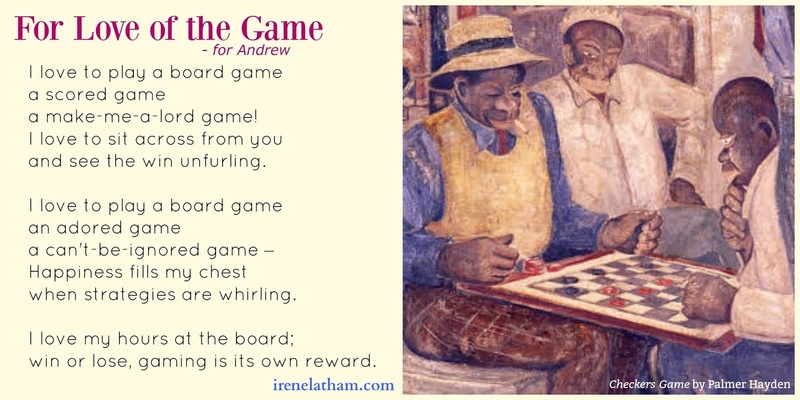 Harlem Renaissance poem "For Love of the Game"
Welcome to day #14 of 2018 ARTSPEAK!, in which I am focusing on art and artists from the Harlem Renaissance. Today I am participating in the Word of the South Festival ... on stage at noon, with author-illustrator Laura Freeman. Before we get to today's poem, please be sure and visit Heidi at my juicy little universe to see how our Progressive Poem is progressing! Today I'm continuing my Harlem Renaissance poetry project by introducing another artist, the third so far in this series: Palmer Hayden. 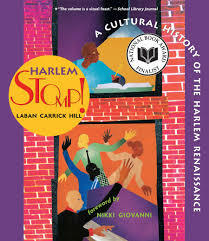 I learned in the book HARLEM STOMP! that Hayden was a janitor and then came to prominence as the first winner of the Harmon Foundation art competition in 1926 (an art contest created to recognize African American artists). 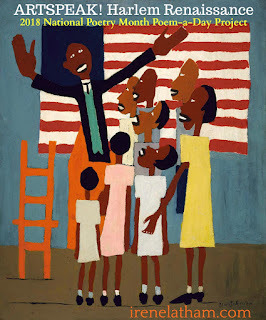 Much of Hayden's work centered on black American life, legends and folk heroes. He was criticized for lapsing into a portrayal of blacks that seemed rooted in cultural stereotypes, a reminder that “blacks were performing for a white audience.” I also love the information about Palmer's life and work found here. And I love this quote: "I decided to paint to support my love of art, rather than have art support me." — Palmer Hayden quoted in Nora Holt, "Painter Palmer Hayden Symbolizes John Henry," New York Times, 1 Feb. 1947. We'll be sticking with Hayden for a few more days. Today's piece is called "Checkers Game." It totally makes me think of our middle son, who is a passionate gamer. He loves video games best, but he also enjoys cards and chess... been a while since we've played checkers.... must remedy! This one is for you, Andrew! and see the win unfurling. win or lose, gaming is its own reward.